Caught up with Day 1, Day 2 and Day 3? With starting the day late and having evening plans, we decided to take the afternoon lightly and visited the Shoes of Danube & the waterfall at the bottom of the Szent Gellért Monument. 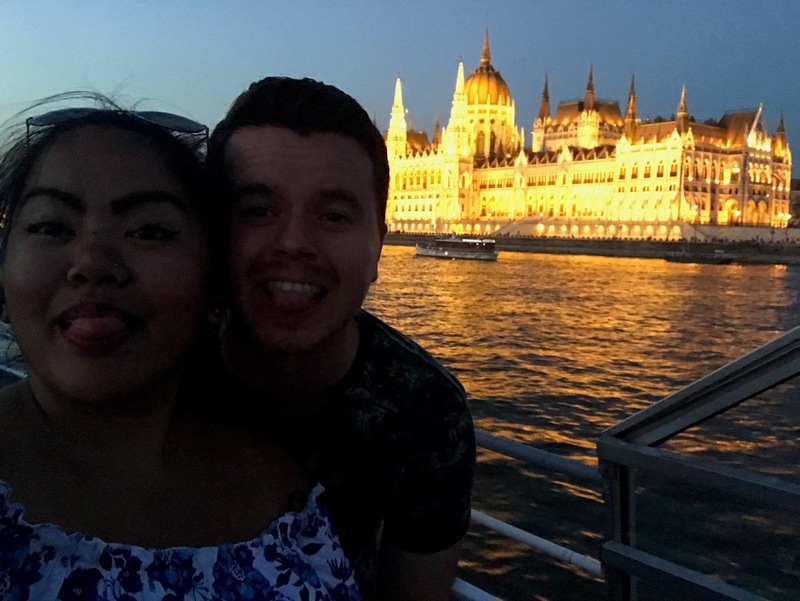 After numerous recommendations from both tourists and locals to go on an evening cruise whilst here in Budapest, we made this a plan on our final night. 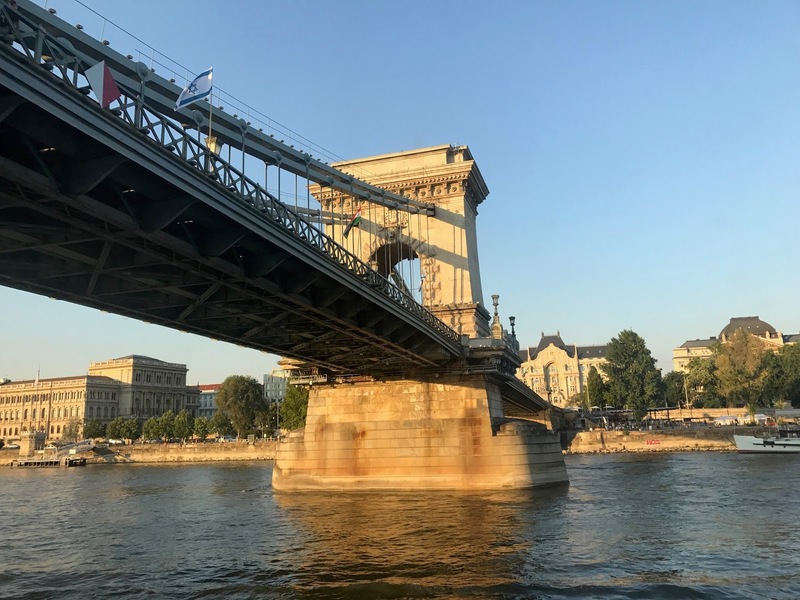 With being able to get 15% off a dinner cruise with our Budapest Cards*, all we had to do is simply show up and buy a ticket on the night, and sit back and relax. Complete with live music, buffet bar and sunset over this beautiful city, it was such a relaxing night. Parliament, Buda Castle and Chain Bridge look even better when lit up and the views were amazing. In terms of food, we both tried goulash soup which we believe is traditionally Hungarian, followed by pasta, salad and fish with rice. All was delicious and it only got better with a selection of small cakes and fruit for dessert. You would normally think that cruises with dinner would be pretty expensive. Well this one was not too bad at all – after the 15% off it worked out at around £25 each. All that was left to pay for was the drinks, and with only having a Coca Cola each it came to a grand total of £2. Marvellous! The view was easier to film than to capture, so look out for that soon. We are off to Zagreb tomorrow and I think it’s safe to say that Budapest has been our favourite stop so far! The cruise looks amazing, good decision guys! The shoes are an amazing memorial. You two are making me want to go travelling 😭 So glad you are both having the most wonderful time!!!! 💕💕💕💕💕 you deserve it!!!!! I hadn't heard of the shoes of Danube, I would have loved to see that! I liked the waterfall myself. The pics are fab! Reading your post makes me want to go back to Budapest!